Detractors of shopping malls often decry their soulless big-chain homogeneity. 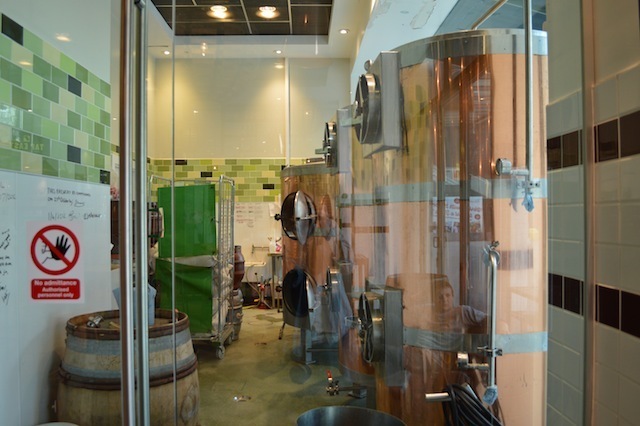 What a treat, then, to find a craft ale pub with its own microbrewery inside Europe's biggest shopping centre. There's a wall under there somewhere. 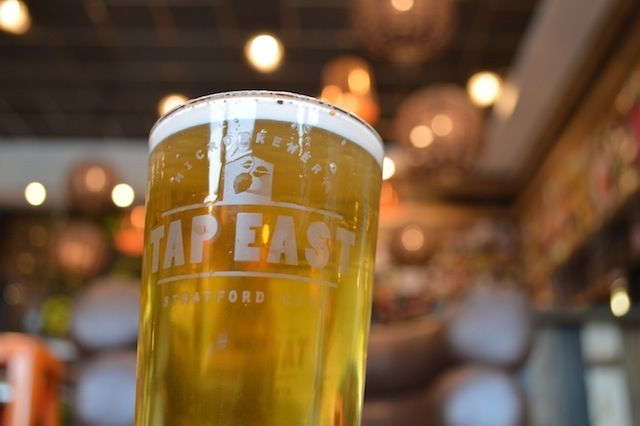 TapEast can be found right on the tip of the 'posh end' of Westfield, close to Stratford International station. It's not large, with seating for around 30 people, but the beer choice is immense. 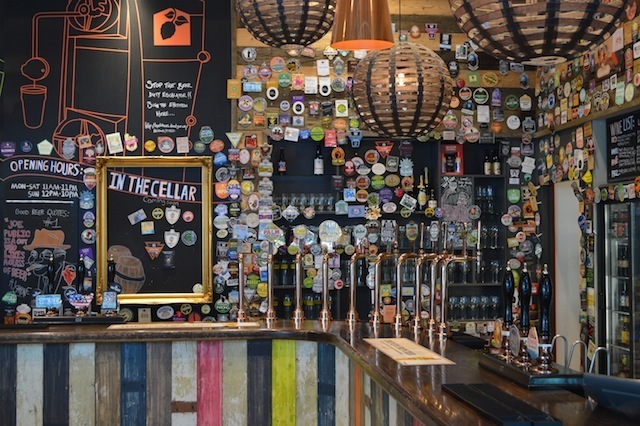 A regularly changing selection of 16 ales on tap (some brewed on-site), and over 100 bottled beers provide the broadest liquid menu for miles around. The venue's sister pub, The Rake in Borough, is also highly recommended. Fans of catapults and getting arrested could have a smashing time. 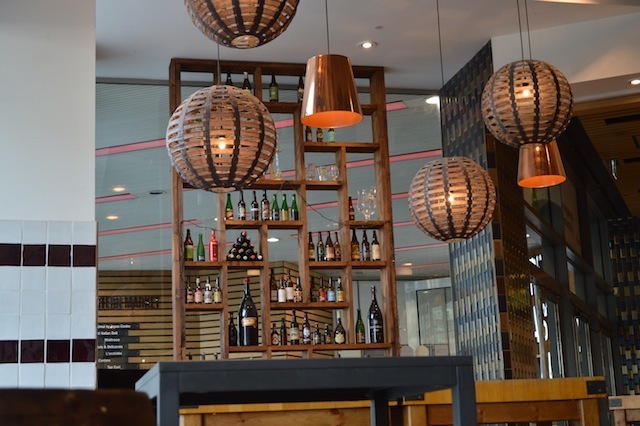 A small outdoor seating area sort-of almost qualifies as a beer garden. It's particularly favoured by crafty parents, who let their children have fun in the adjacent play area while they enjoy a much-needed pint. A superb pint of Oakham's Inferno.